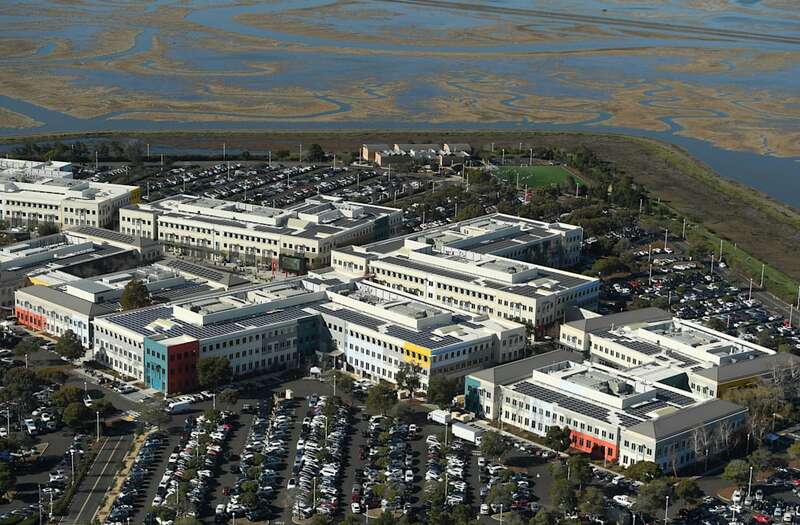 Over 500 cafeteria workers at Facebook's Menlo Park, California headquarters have unionized and are demanding higher wages because they can't afford to live in Silicon Valley. The workers are employed by Flagship Facility Services, one of the contractors that Facebook uses to fill positions for roles like janitors and security personnel. San Francisco has been rated as the most expensive city in the world to rent property, and tech companies like Facebook with campuses outside of the city have made the cost of renting skyrocket in surrounding areas as well. The Guardian interviewed two Facebook cafeteria workers who are married and live in a two-car garage with their three kids. A Facebook spokesperson told Business Insider that the company didn't try to oppose the union, but declined to say whether it would reevaluate the minimum wage of $15 per hour and 15 vacation days per year it requires its outside vendor partners to offer. "Our vendor workers are valued members of our community," the spokesperson said. "We are committed to providing a safe, fair work environment to everyone who helps Facebook bring the world closer together, including contractors. Our commitment does not change, regardless of union status." "We are pleased that Facebook and Flagship have been cooperative partners in this organizing process," Enrique Fernandez, business manager for the union, said in a press release on Monday. "We look forward to sitting down to negotiate a contract that addresses some of the challenges workers are going through." Why is somebody offering you something that costs them money to purchase - and to market - for free? Does there seem to be a legitimate reason for the offer? What value does the party giving away the object receive in return? Does that value warrant giving away the object - or is the offer simply too good to be true? As you probably learned as a child - "don't take candy from strangers." Legitimate giveaways done for marketing purposes are typically inexpensive items, downloadable materials, or extremely small quantities of expensive items to a small percentage of sweepstakes winners selected from a targeted group; any offer that claims to be giving away large numbers of expensive items should raise a red flag as doing so rarely makes sense from a business standpoint, especially if the offer is being promoted to the general public on social media. Most major businesses are verified (with a white check on a blue circle - some small businesses have similar marks that are white on gray), so if an offer is ostensibly coming from a large business and the page from which it is being posted is not verified, that may signal problems. Not all businesses are verified; if you see a post from a business that is not verified, however, you can search on the business's name and see if there is a verified account for the business - if there is, you know that the unverified account is likely fake. Legitimate sweepstakes and giveaways always have some sorts of "fine print" associated with them - if there are no "Offer Details," "Terms and Conditions," or the like, consider a huge red flag to have been raised. Spelling mistakes, grammar mistakes, misuse of idioms, writing that appears to have been auto-translated or written without knowledge of "how people speak," or photos that don't seem to match the post are all red flags. Do you really think a major firm running a marketing campaign doesn't check its content before posting it on Facebook? it is a bad sign if a page was created right before an offer post was made. Of course, criminals know that people look out for page age - so they may create pages and post for a while before using the page for scams. So look out for what content was shared before? Does it make sense coming from the business? Do the comments on those posts make sense? Often there are giveaways on such pages that something is amiss.